BBC One - Panorama, A Prescription for Murder? Shelley Jofre reports on rare but possibly devastating side effects of SSRI antidepressants that can lead to psychosis, violence and even murder. With exclusive access to psychiatric reports, court footage and drug company data, reporter Shelley Jofre investigates the mass killings at the 2012 midnight premiere of a Batman movie in Aurora, Colorado. 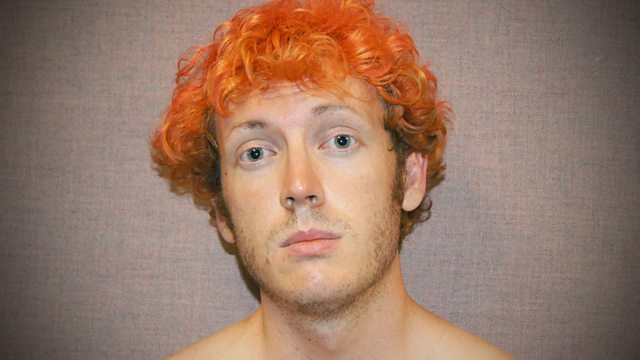 Twenty-four-year-old PhD student James Holmes, who had no record of violence or gun ownership, murdered 12 and injured 70. Did the SSRI anti-depressant he had been prescribed play a part in the killings? Panorama has uncovered other cases of murder and extreme violence which could be linked to psychosis developed after the taking of SSRIs - including a father who strangled his 11-year-old son.